I've been hearing about the growing food haven that is U.P. Town Center for quite some time now, but I unfortunately never had the time to go check it out for myself. During my work "hiatus", Rina and I decided to go with some of our foodie friends to check out the first two restaurants that were kind enough to extend an invitation to us to try their food (Yes, all in one day. One after another. We're Food Bloggers. It's a tough job, but someone's gotta do it. ), with Tokyo Tonteki the first on our list. 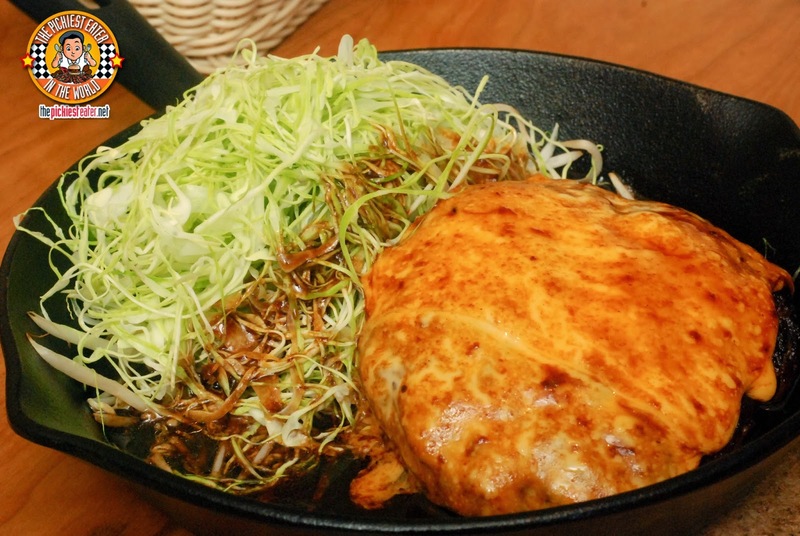 With so many restaurants scrambling to join the latest Japanese Katsu Craze, Tokyo Tonteki decided to start a whole new craze on their own.. Their Tonteki, or Pork Steak. 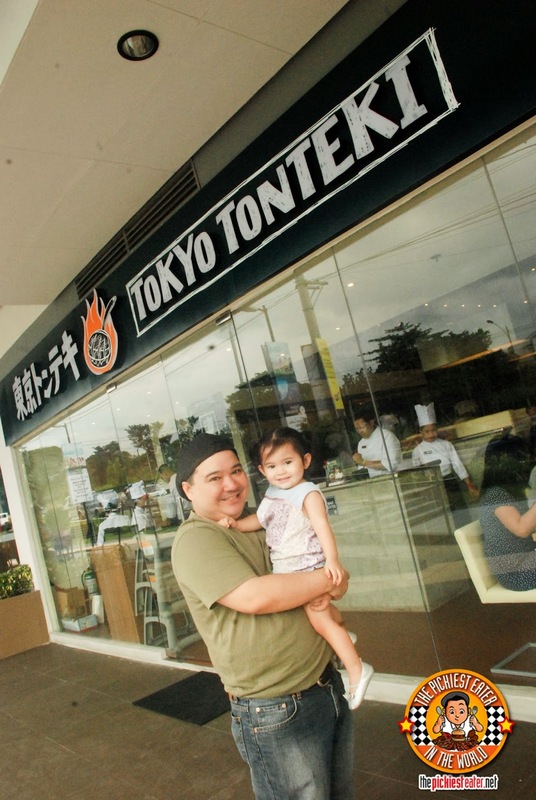 Already popular in Japan, Tokyo Tonteki opened their first international branch last October and they couldn't have chosen a better country to feast on their pork offerings. Though the space is a little tight, especially considering that they always seem to be full, it's amusing to note that the design of their U.P. Town Center Branch is a near replica of the Japan Branch. 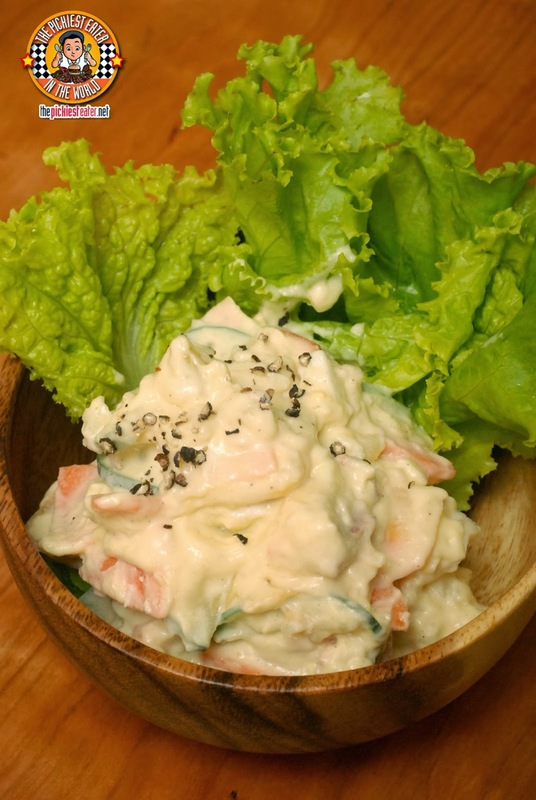 Truthfully, have you ever had a bad Potato Salad? I think it's one of those dishes that you can't go wrong with.. And Tokyo Tonteki's Potato Salad (P150) reinforces that notion for me. 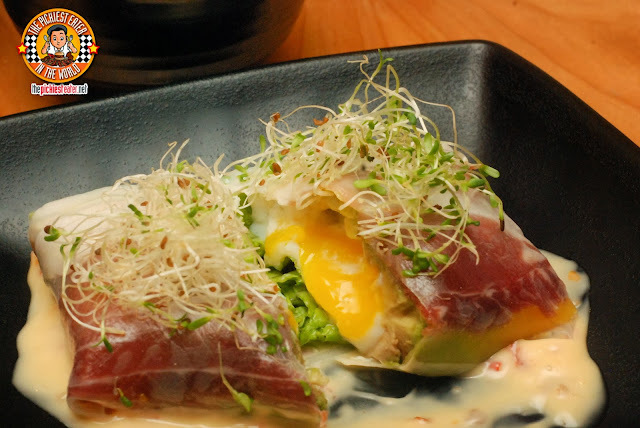 A very unique Starter that Tokyo Tonteki offers is the Spring Roll of Prosciutto, Avocado and Onsen Egg (P175). Rina absolutely loved this. The prosciutto serves as the spring roll wrapper, and its innate saltiness gives way to the creaminess of the perfectly cooked egg inside, whose yolk oozes out when sliced through. The avocado adds a bit of sweetness for a nice balance. The spring roll is topped with alfalfa sprouts (for texture? ), and placed on a smearing of some sort of a chili mayo. Ok, this is going to sound funny but perhaps the best thing I had at Tokyo Tonteki was the Special Fried Rice with Egg (P150). And don't take that negatively, because as you'll see, their food is amazing, but this Special Fried Rice had The Pickiest Eater written all over it. 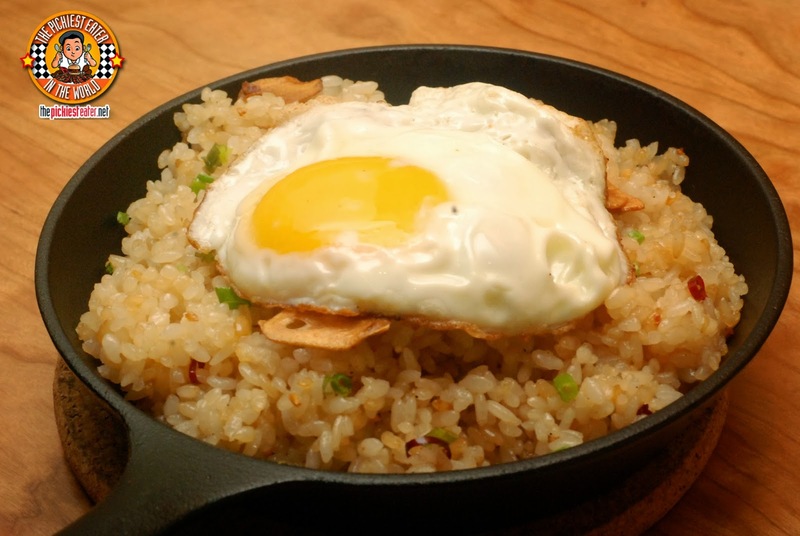 It was comforting, with the rice being sticky, and peppered with bits of fried garlic and spring onion. They couldn't have cooked the fried egg any better than they did I seriously could eat this without "ulam" (viand), but then I'd be missing out on some delicious Tonteki. 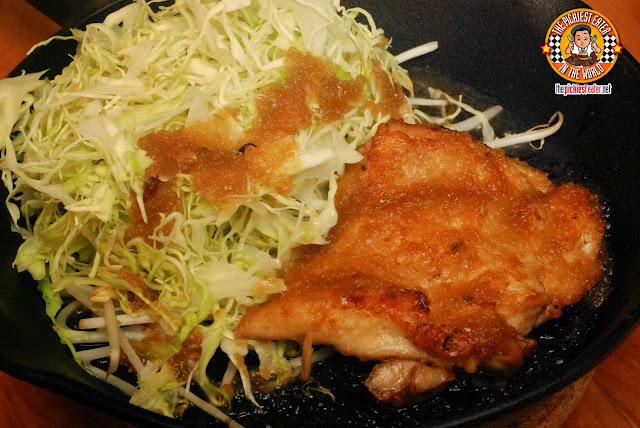 When you order a Tonteki, Tonburg, or Chicken Steak Set, it will come with unlimited Rice, Shredded Cabbage, and Pork Miso Soup. 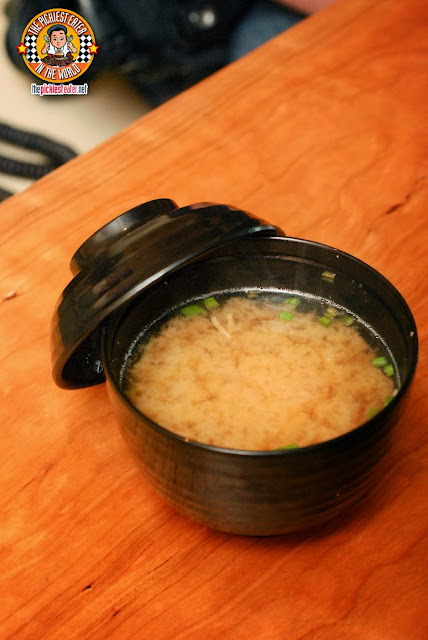 I really don't like Miso Soup, but Tokyo Tonteki's version was more tolerable for me. Still not enough to convert me though. The Large Tonteki Set (P450) features a premium Pork Loin Steak which was cooked using Tokyo Tonteki's unique low temperature cooking technique & simmered in our original signature Tokyo Tonteki Sauce topped w/toasted garlic chips. The meat was remarkably tender, and really soaked up the delicious sauce, but I wish there was a tad bit more fat to it. As much as I enjoyed the Tonteki Steak, I enjoyed the Ginger Flavored Pork Steak Set (P350) more. 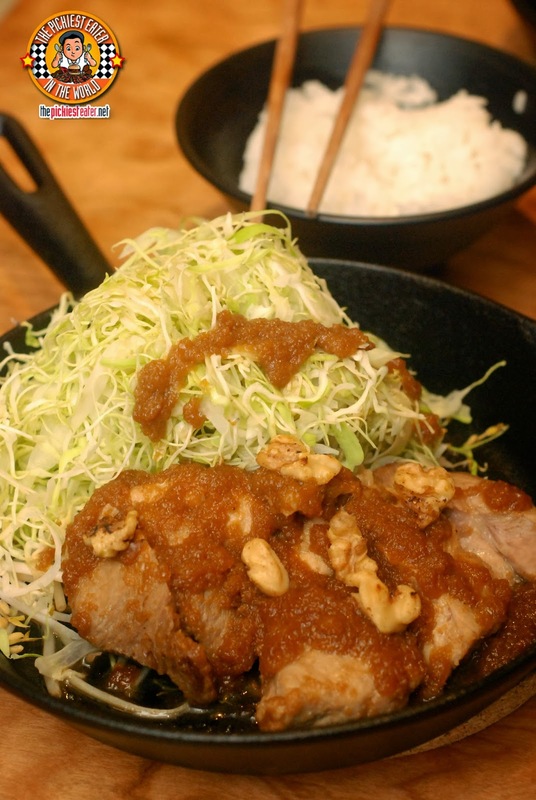 The Pork Loin Steak was again, slow cooked in the signature Tokyo Tonteki way, but instead of the steak sauce, it was a thick, delicious sweet ginger sauce, and topped with Walnuts. Being a sucker for dishes that combined the wonderful flavors of sweet and savory, I also enjoyed the Chicken Steak with Onion Steak Sauce Set (P325). 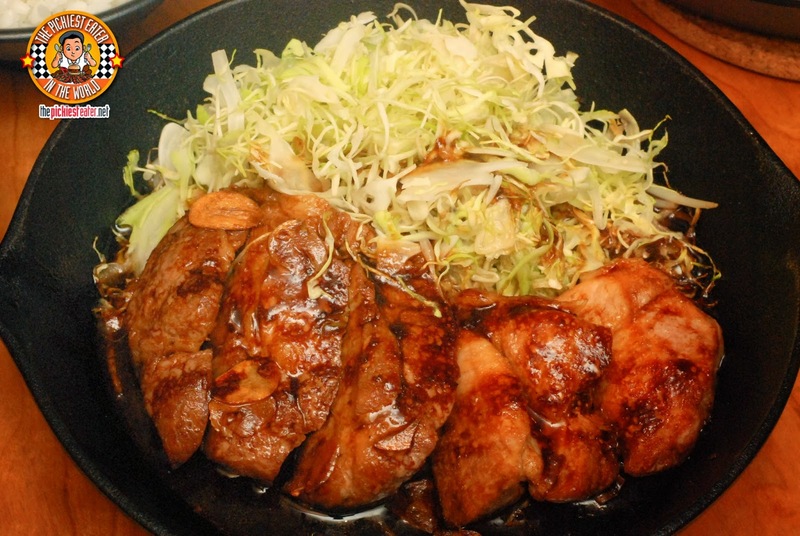 Though the meat was very soft, the chicken skin on top had a light crisp around the edges, and melded well with the caramelized onion sauce as a topping. Among the sets, my favorite was the Cheese Tonburg Set (P400). Being the burger lover that I am, this burger steak covered in a rich blanket of cheese drove me insane. Oh and a quick tip.. This was perfect with the Special Fried Rice! If you're looking to satisfy your Katsu fix, you might want to try Tokyo Tonteki's Menu, which also includes a Salmon Fry (P260 for 4pcs). 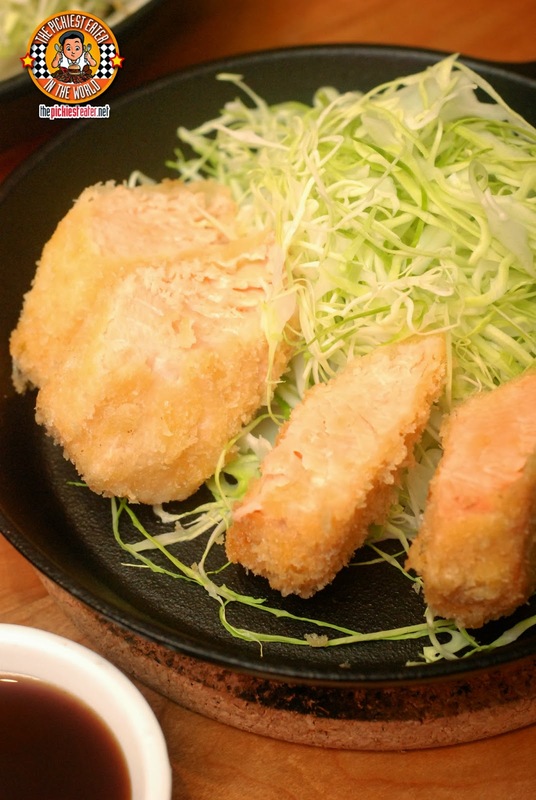 The salmon fry is made with Ocean fresh fillets of Norwegian pink salmon in a crunchy coating of flour, egg, & fresh Japanese panko bread crumbs fried to a golden brown crisp. 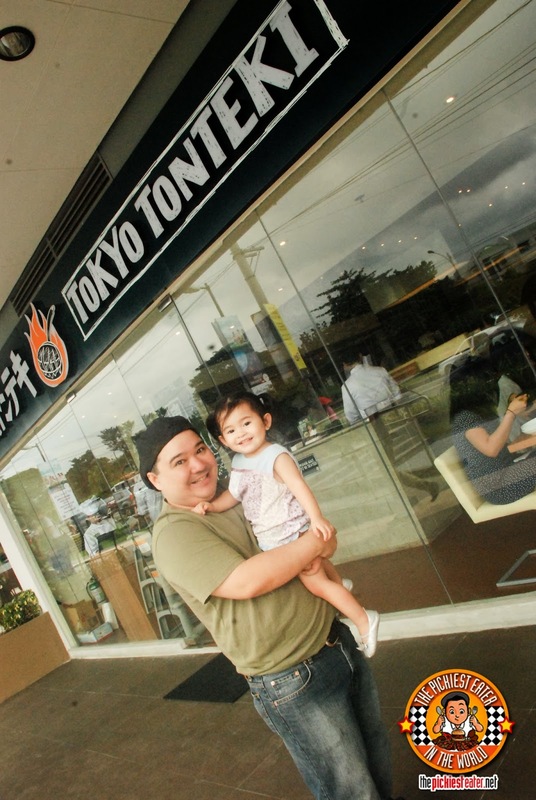 For dessert, we tried Tokyo Tonteki's Cheesecake (P140). Unfortunately, I didn't enjoy this so much. 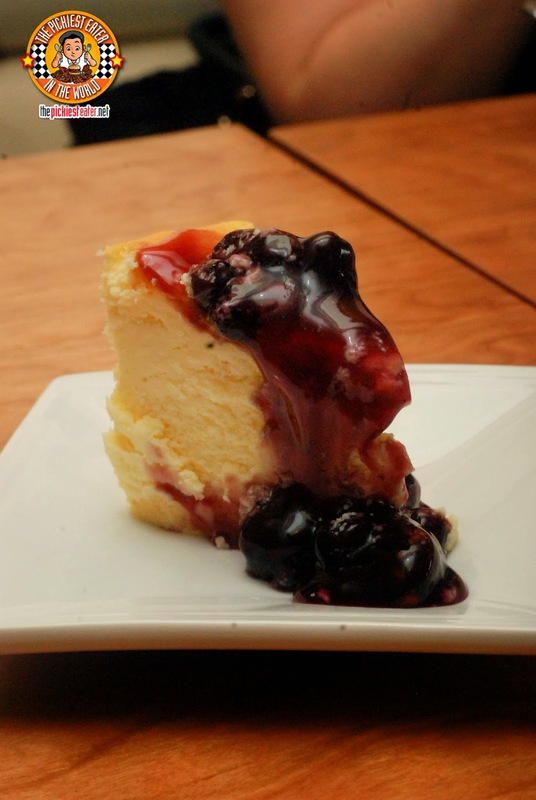 Though the blueberry topping was ok, the texture of the cheesecake was a little off, and flavor-wise, it was rather bland. It was the Homemade Almond Pudding (P110) that knocked it out of the park for me. 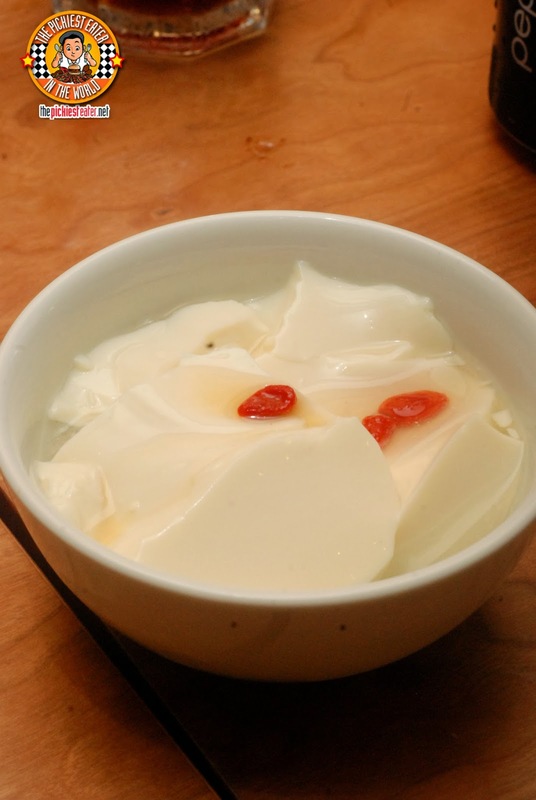 Delicious almond pudding swimming in a sweet, thin syrup, that was light enough to prevent you from feeling too bloated after everything you ate earlier (too late for me though). 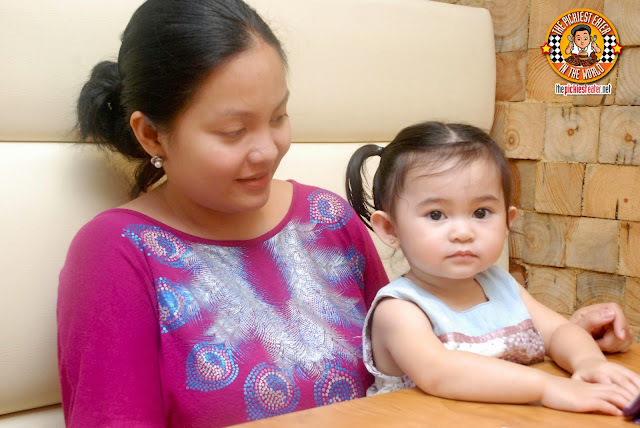 and her favorite was the Chicken Steak! Baby Rain was such in a good mood after, I can't help posting another picture hehehe..
Tokyo Tonteki was without a doubt, an excellent first stop in my introduction to U.P. Town Center. 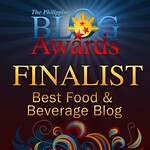 I would definitely go back to try their other dishes! 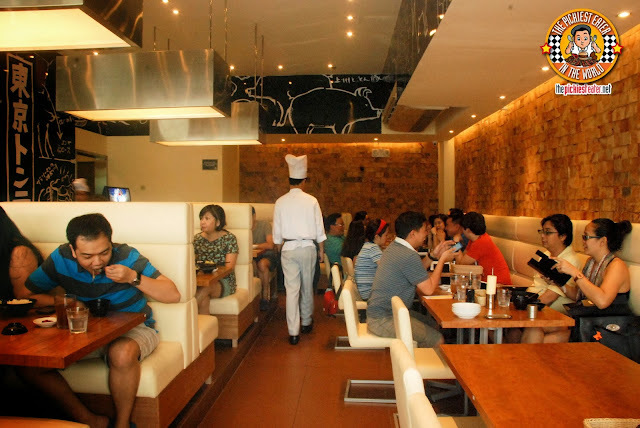 Tokyo Tonteki is Located at the Ground Floor of U.P. Town Center along Katipunan. What was the next restaurant at U.P. Town Center did me and my friends go to next?